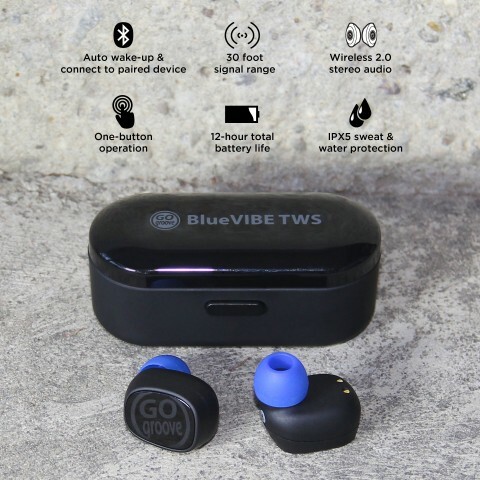 After the initial & simple pairing setup, the TWS Bluetooth earbuds will be ready to go at your command. Simply taking them out of the case will activate the TWS sensors that wakes them, pairs them with each other, and looks for the last device that was streaming audio to them. In short, no extra button presses or complex pairing to repeat: simply pull them out of the case and wear them. 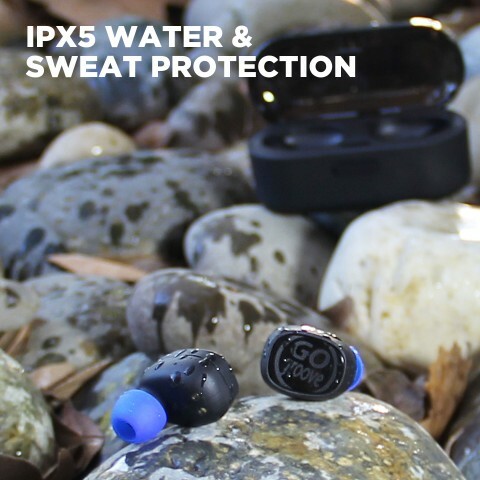 We designed the TWS earbuds with a nano-coated PCB board to earn an IPX5 rating, so they are ready to tackle the sweat and water you throw at them. 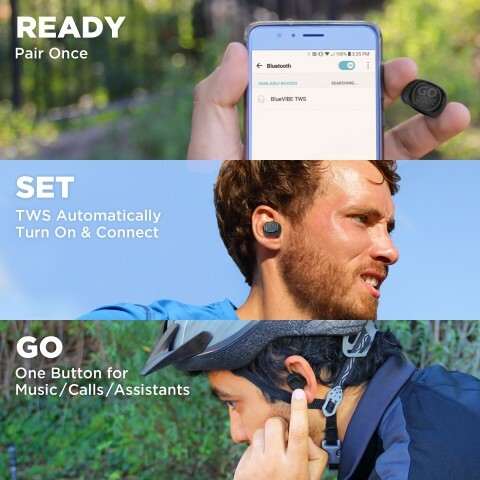 Next time you feel like heading out in the rain, feel confident wearing the TWS earbuds as you run, ride a bike, or jump from bus to train. 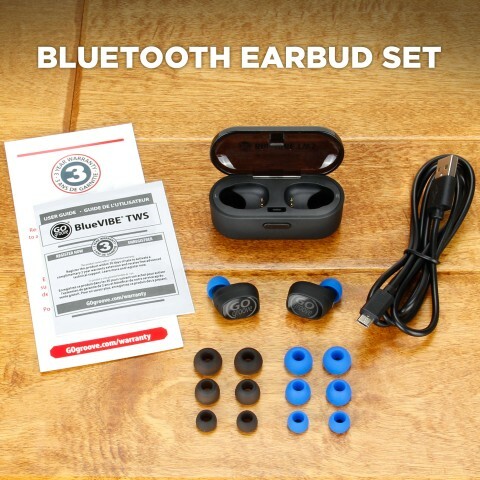 Not only do you get two earbuds (as you should!) 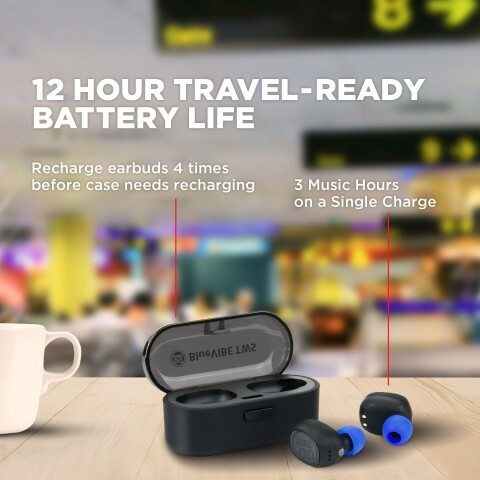 for proper 2.0 stereo music audio, but you get a sleek and compact charging case that holds enough battery power for 12-hours of listening time. 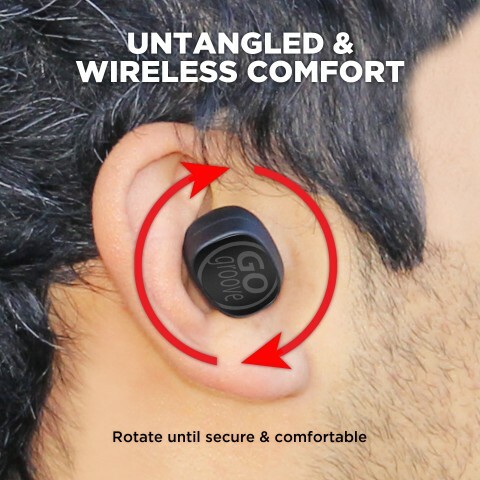 It fuels up with a Micro-USB connector on the back for easy charging, and when you are out and about, there are special connectors that trickle charge the earbuds while they are safely stored inside. 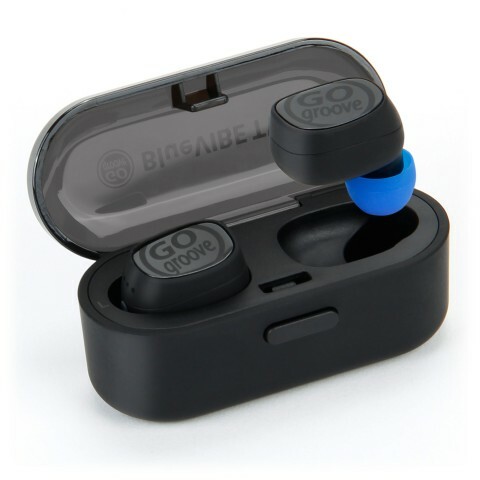 The earbuds provide around 3 hours of listening (depending on volume) and can be charged up to 4 times with the case before needing an outlet. GOgroove products are backed by a 3 Year Manufacturer’s Warranty and friendly California-based customer service. 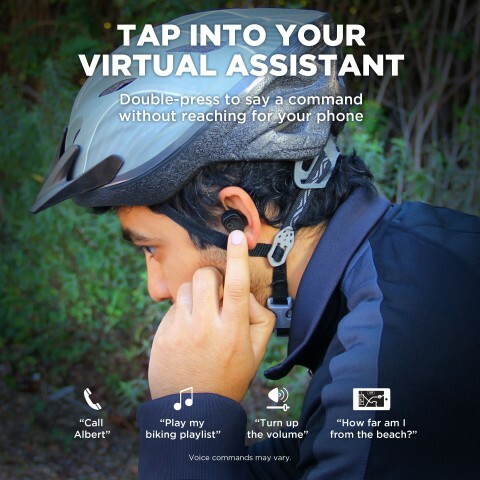 Compatible With: Bluetooth-enabled smart devices running Android, iOS, or Windows from brands like Samsung, Google, Apple, LG, HTC, Motorola, Microsoft, HP, ASUS, Acer, and more. PLEASE NOTE: Battery life depends on a variety of factors, like audio volume, call duration, and signal interference. 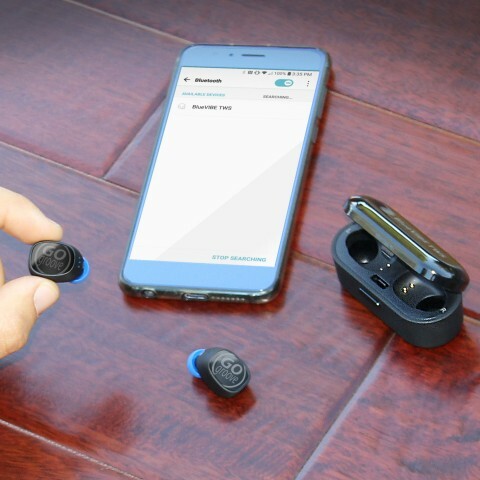 Earbud 0.82 x 0.78 x 0.47"
Double tap to activate voice assistant"